Good morning! I am so happy to introduce you to Julia! 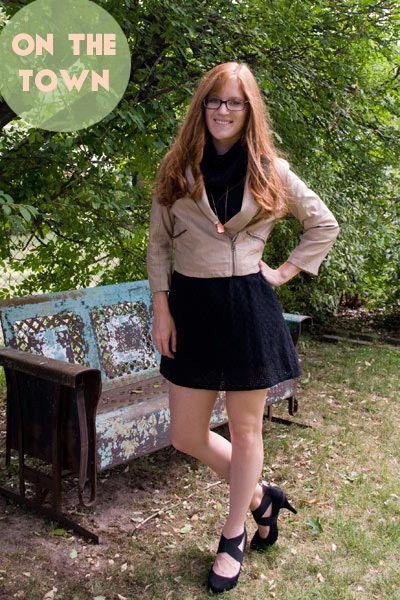 Finding her blog was a joy, and since the initial discovery I go back day after day to see her cute and approachable style... several times she and I have picked up a similar piece, and seeing the unique way she styled the item provided me with inspiration galore! Hello Here&Now readers! I'm Julia from Cup of Tea. While Jessica is away, she asked me to fill in with a guest post about a topic of my choice. And who doesn't need some Little Black Dress inspiration? That's a topic that never gets old. The other day I was digging through my closet looking for something I hadn't worn in a long time. Buried way in the back was this shift dress I bought five years ago from Forever 21. The Little Black Dress is so versatile it's almost funny. Seriously, you can go anywhere in a LBD. It's all in the styling. I've created three looks: one for the weekend, one for business-casual, and one for a night on the town! See - How great is Julia?! 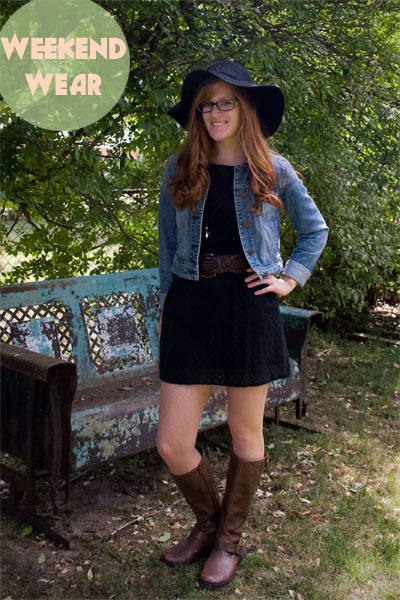 Adorable AND a styling genius with clothing that every woman should have in her closet! 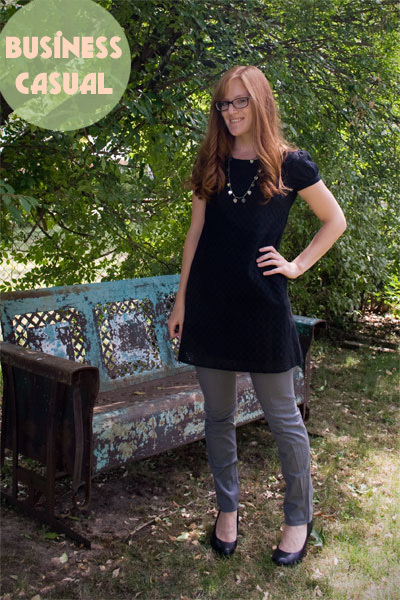 Looking for your own blank slate of a LBD (on a dime no less)? Hi! What a cute idea - these 3 in 1 posts are always really helpful and inspiring. All three looks are super adorable. My fav is the business casual look. Great post!